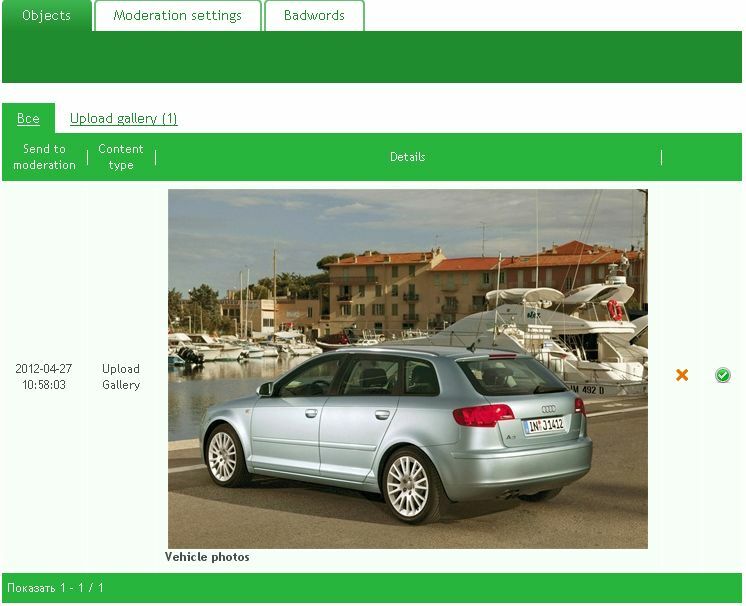 Car portal allows site members to add own listings (car images and description) and communicate with other site members. You can’t be 100% sure of intentions or adequacy of those whom you do not personally know. Moderation can help you to filter out unwanted or inappropriate content. You can set car images to be PREmoderated, POSTmoderated or activated without any moderation. PREmoderation means car images should be approved by administrator before they become active. If POSTmoderation is used, car images become active without moderation, but they may be deactivated later by administrator if required. 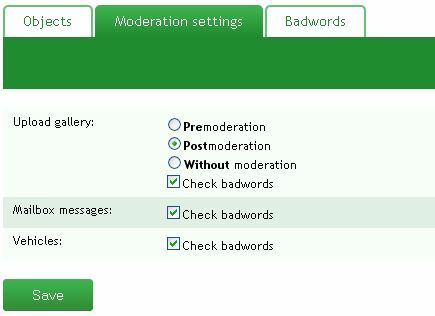 Comments to car images, mailbox messages and car description can be also checked for bad words. Add one or more bad words divided by a space. For example: cat dog duck horse …. 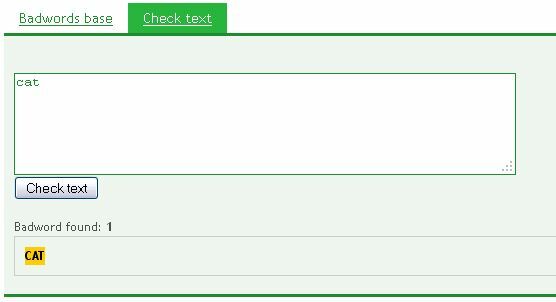 You can check a bad word if required. All new uploads go to “Object” tab. They can be approved or removed.